The high quality of the grapes and aging in wooden casks (a small amount of it is aged in barrique) make this a rich and fruity red wine to be enjoyed at leisure. It goes well with rich dishes, red meats, game and strong cheeses. Enjoy it at about 18-20°C. 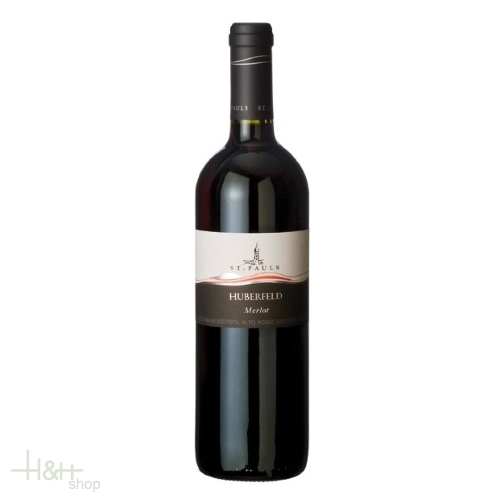 "Falstaff Magazin" has rated the wine "Kellerei St. Pauls 'Huberfeld' Merlot Alto Adige, Trentino-Alto Adige, Italy" the vintage 2011 on 25.06.2013 with 87 of 100 points.